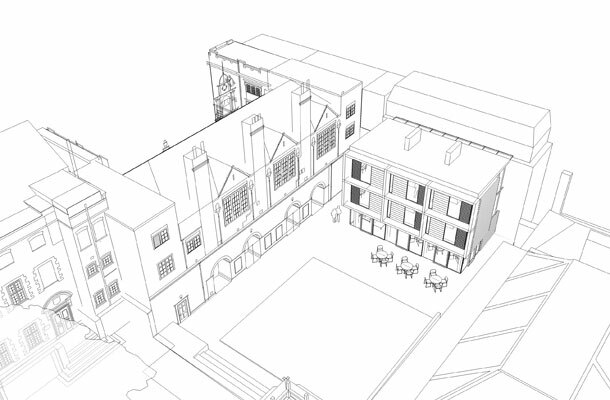 Design Engine Architects have been appointed to design Phase 2 of the Perrodo Project at St Peter’s College, Oxford following an invited competition. Design Engine’s proposals won through against stiff opposition from a roster of major architects. The Perrodo Project is a new scheme to make St Peter’s College a better place to study, teach and live by improving its public spaces. Thanks to a recent donation from the Perrodo family, the college is able to undertake a series of improvements that will help to continue in this tradition. The Perrodo family have a long-standing affiliation with the College and understand the important relationship between the physical and architectural space of St Peter’s and the academic community that lives, works and socialises within it. Design Engine’s winning scheme includes a new 3-storey pavilion building within a remodelled Chavasse Quad alongside significant re-imagining and refurbishment of existing accommodation to provide both private and communal spaces fit for the 21st century. Construction work will start in August 2016 with completion of Phase 2 of the Perrodo Project due in June 2017.